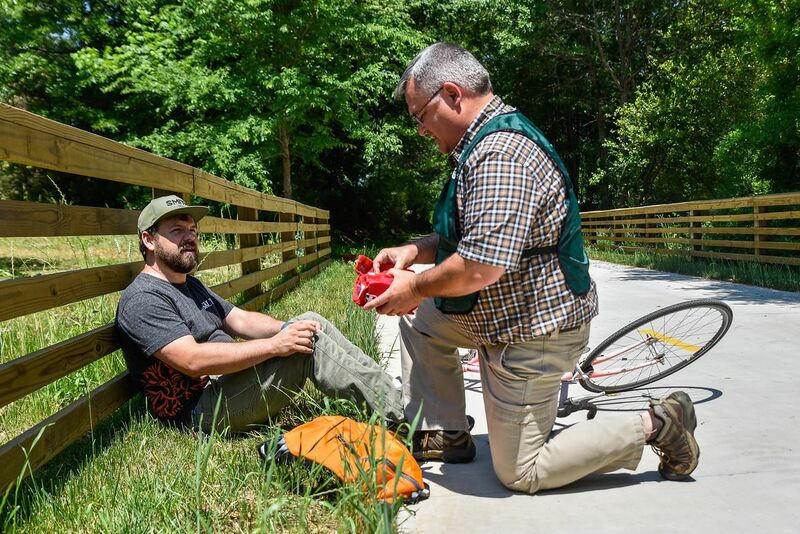 A Tr ail Ambassador is a committed volunteer that hikes, bikes, or runs trails and multi-use paths operated by Athens Clarke County, provides assistance to trail users, and works with Leisure Services staff to keep an eye on trail conditions and possible hazards. This program was created in 2018 with the financial assistance of the Oconee Rivers Greenway Commission and Firefly Trail, Inc. Maintain a presence on the trails of your choosing at least 4 hours per month. Wear a provided green vest and orange backpack filled with supplies. Provide trail patrons with information, maps, and first aid supplies. Attend a short, informative orientation with the ACC Trails and Open Space staff. 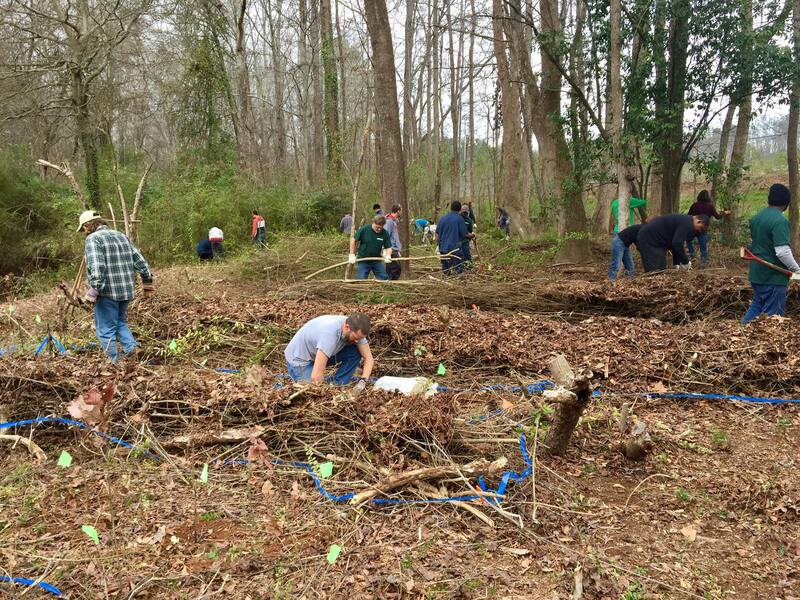 Join Trails and Open Spaces staff as we continue to restore native habitat in our parks and natural areas around Athens-Clarke County. We use a variety of methods to remove invasive plants such as English Ivy, Chinese Privet, Nandina, Microstegium, and Wisteria that choke out our native plant species. Our workdays are held at various parks and trails throughout the year, including monthly workdays with our award winning Weed Warriors at Memorial Park. For more information email trails@accgov.com or call 706-613-3620. With over 40 miles of trail operated by ACC Trails and Open space, there are many opportunities to help us improve our trail system. From helping us build trails with handtools, completing reroutes, or cutting back encroaching plant growth, there are many ways to help! No experience is necessary- we have tasks for all abilities! 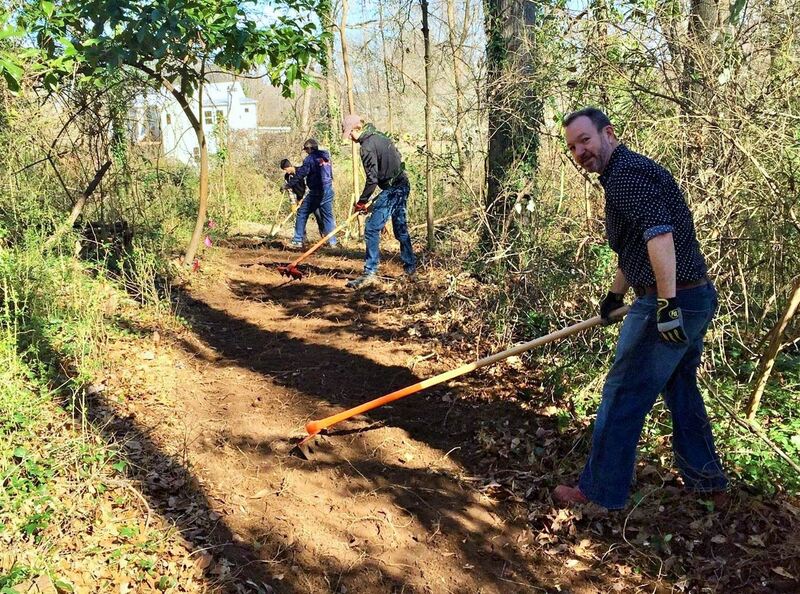 If you are interested in attending our workdays or finding out more how you or your organization or business can help, please email trails@accgov.com or call 706-613-3620.